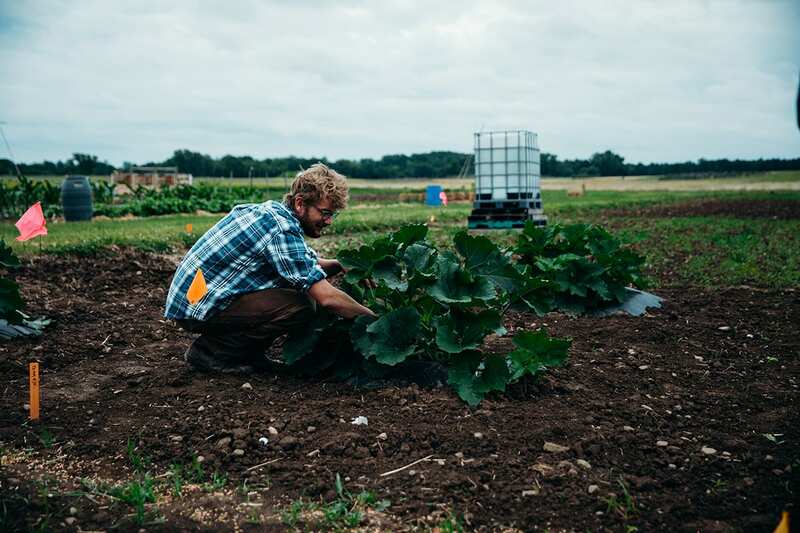 Zachary Stansell, a fourth-year doctoral student in the field of horticulture, is studying under the guidance of Thomas Bjorkman, professor in the Horticulture Section of the School of Integrative Plant Science. We spoke to Stansell about his research and what he sees for the future of the broccoli industry. The Eastern Broccoli Project is working to establish the scientific basis for a local, reliable source of broccoli production on the east coast. What are some of the hurdles and the opportunities to making this a reality? Currently, reliable broccoli production on the east coast is constrained by a number of biological hurdles. For example, temperature sensitivity related damage often occurs. Modern broccoli types have also undergone a genetic bottleneck. I believe that my work with this delicious super food—and, dare I say, favorite food—will enhance production and access to affordable, high-quality, locally produced broccoli. My work is addressing broccoli production issues by disentangling the genetic networks that regulate its adaptation to heat stress. I’m also taking a census of the current state of modern broccoli compared to large pools of genetic diversities contained in older “heirloom” types. This work will help us develop optimal broccoli types for New York state, while preserving the crucial genetic diversity needed to adapt to challenges such as climate change. What is your most memorable student experience? The relationships and community I’ve experienced at Cornell and Cornell AgriTech have been my meaningful life experiences. Professor Björkman has been a consistent mentor, supporting and challenging me to create strong, inference-based research. I’m consistently impressed by the openness, inclusiveness and willingness of the Cornell AgriTech community to help graduate students. What inspires you as a student at Cornell AgriTech? As corny as it may sound, opportunities to give back inspire me. I feel immensely grateful to the people who have invested time, care, curiosity and resources into my development. I’m beginning to have an ability to give that back. For example, I am planning a demonstration garden to help Master Gardeners train community gardeners across New York state. I’m also collaborating with undergrad summer scholars to collect field data, write the code to analyze it, and make actual discoveries. Developing tools and methods to help quantify horticultural quality in other crops is also a passion of mine. How do you think graduate student research benefits New York state agriculture? My own experience here has allowed me to listen to and learn from nearly every stakeholder group in the New York state agricultural community. I’ve learned to communicate with people working on topics ranging from heat-stress mechanisms in model organisms, to farm workers transplanting cabbage, to venture capital funded agriculture entrepreneurs. I believe that sort of informational cross-linking created by graduate students serves to strengthen and integrate the network that Cornell AgriTech provides to New York state agriculture.